When you delete email using webmail, the deleted emails remain on the server indefinitely. If you wish to free up disk space on your email account, you must remove the deleted emails off the server permanently. To remove emails off permanently follow the instructions below. Replace yourdomain.com.au with the domain name that you are using. 2. 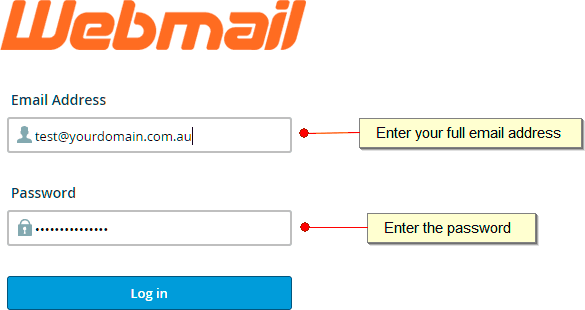 Enter the full email address and password for the account. 3. 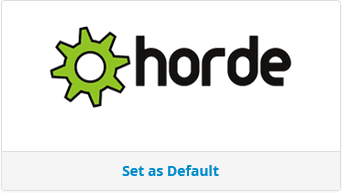 Click on the Horde button. 4. Tick the check box next to the emails you want to remove and then click on Delete. 6. 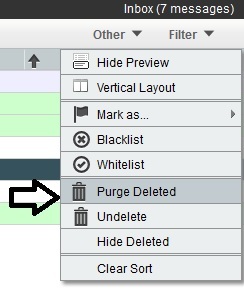 Select the Other menu and then click on Purge Deleted.